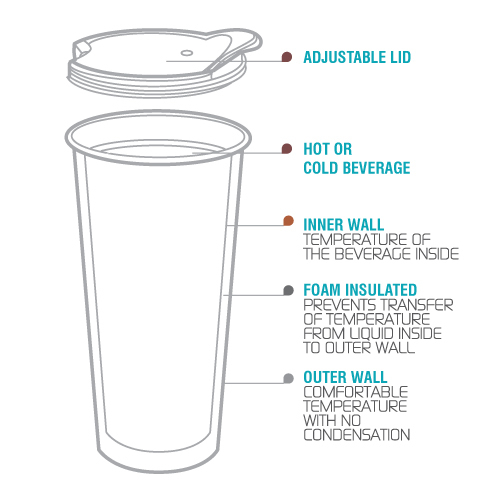 FILL & GO – the eco friendly way! 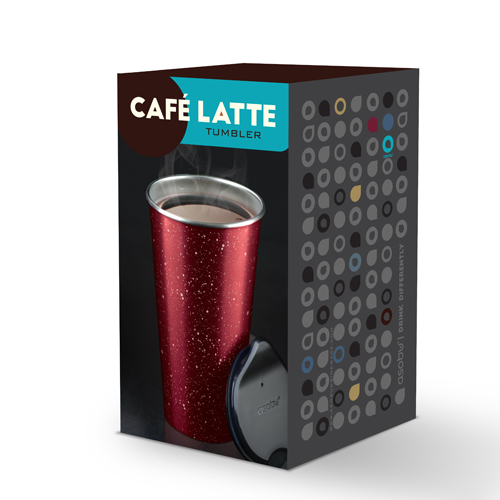 Enjoy a hot or cold beverage in the new Café Latte Tumbler. 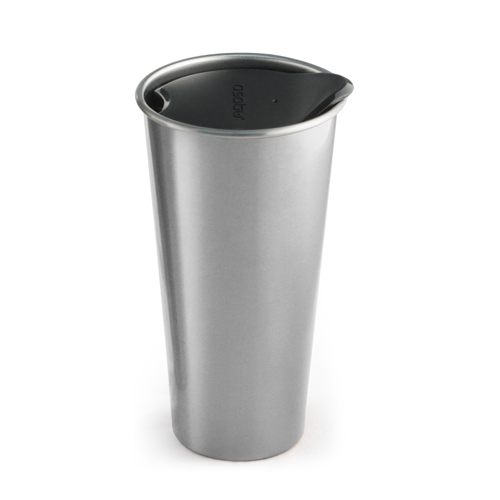 This striking double wall stainless tumbler with easy access lid will keep your drink hot or cold for hours! 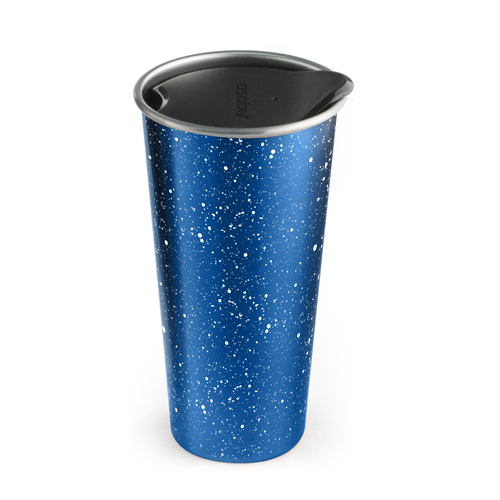 Fill with your favourite beverage on your daily commute to your local café and do your part for the environment! Enjoy at work, school, and in the car. 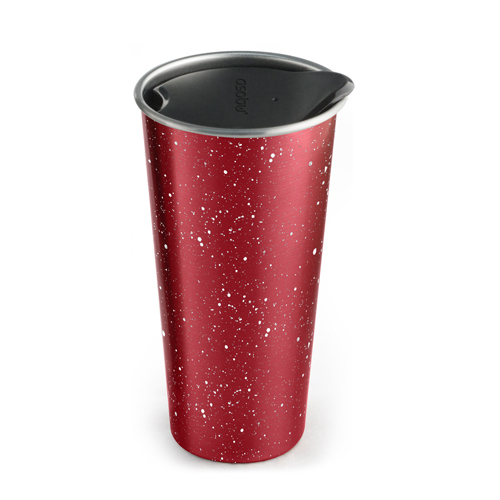 Fits all standard vehicle cup holders, comes in five eye-catching colors. 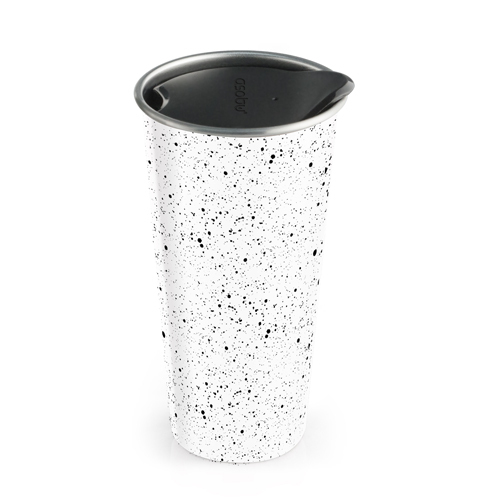 Help the environment by filling up at your favourite café! Get one soon!